In 2012, Emily Winston’s world took a downward turn. 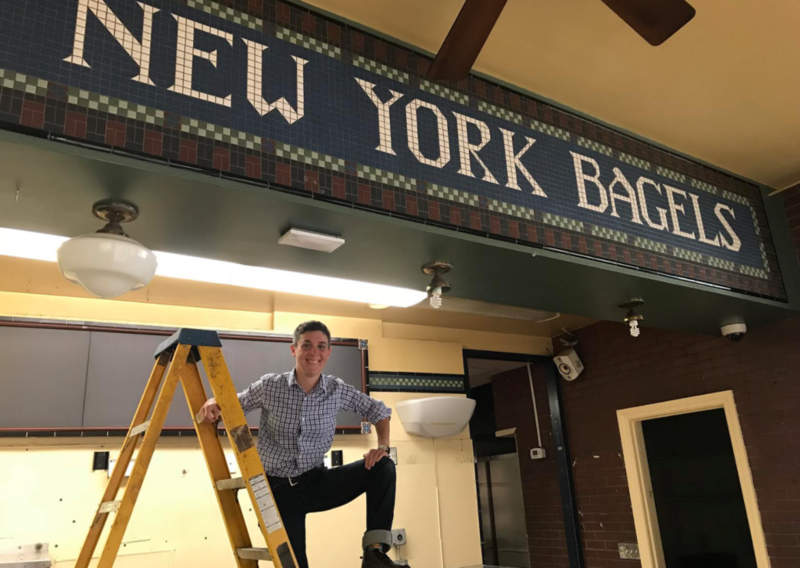 Even though the New Jersey native hadn’t lived on the East Coast in years, when she heard that beloved Manhattan bagel chain H&H was closing, she felt adrift. “A world without an H&H bagel is a world I don’t want to live in,” she said. With that rallying cry, the Alameda resident set out to re-create the famous New York bagel that she grew up with, here in her adopted home. Why such a food capital as ours has not produced a bagel to satisfy tri-state transplants is a matter of such gravitas, it was even a cover story in the New York Times Magazine in 2015. Winston knew she was taking on a formidable challenge, to say the least. But she’s not the type to be daunted. One might even say she has succeeded. Admittedly, she is going on her memory of what an H&H bagel tastes like, since it’s not like she can do comparison taste tests in her kitchen. “They had this beautiful malty sweetness,” she said, recalling the qualities that elevated H&H to what was, in her estimation, the peak New York bagel experience. “It definitely fell on the sweeter side of bagels, and it was such a nice complement to cream cheese and fish, but it was also so flavorful that you could just eat it on its own.” Comparing the crust to a soft pretzel, she said “there was also this particular lick to the crust. I want there to be a bit of zing, that comes from the alkalinity in the boil.” That comes from lye, which some bakers use and some don’t; she falls into the lye camp. Winston, who turns 40 this month, had been tinkering for years, and the pop-up was just for proof of concept. But even with a cottage food license, there are downsides to making and selling the bagels out of her home. “I can only make 18 at a time, and it just takes forever, so eight dozen is the largest batch I can do right now,” Winston explained. On that crazy morning, people wanted to buy six, or a dozen, and she had to explain that she couldn’t sell in those quantities. And in an incident reminiscent of “Seinfeld,” one woman begged for just a taste. “I told her, you can’t have just a bite,” said Winston. A few days later, a guy knocked on her door in the middle of the week. Even though she had no fresh bagels on hand, he was so insistent that she ended up selling him a few from her freezer. But please, readers, she asks, do not show up on her doorstep. Winston, who grew up Reform in Old Bridge, New Jersey, remembers with fondness the days when her father’s work took him to “the city,” and he’d bring home H&H bagels and an assortment of smoked fish from Zabar’s across the street. When that happened, it was like a holiday. Usually the family got their bagels from their local store; they were passable, but they weren’t H&H, which held a hallowed place in their home. They wouldn’t even wait until the next morning. It was bagels and lox for dinner. 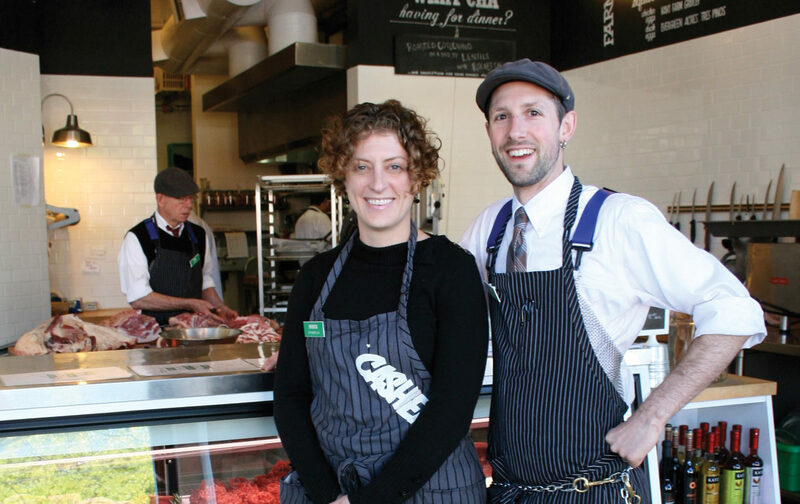 She also remembers what a special occasion it was when she visited Zabar’s herself. “It was treated with great reverence. Temple is whatever, I’m there all the time, but I remember feeling like, this is a holy place,” she said. Her father was a food chemist, and sometimes he inspected factories and helped them meet safety codes. Occasionally she’d get to tag along. One time her father enlisted her help when she was home during a college break from Cornell University, where she was studying mechanical engineering. The matzah company Streit’s (which at the time was still on the Lower East Side) was having trouble with the ovens. “I’m handy and good at fixing things and my dad is the king of never saying no to his customers,” she recalled. “So when Streit’s called, even though he has no business fixing ovens, he said yes.” He showed up with his daughter and an engineering professor from Rutgers, who spent the day fiddling with the levers of the ancient tunnel ovens. “It was quite an interesting day,” she said. Her next career move was in an entirely different direction. She had developed a real appreciation for wine after taking classes at Davis and thought it might be fun to work in a tasting room. She landed at St. George’s Spirits in Alameda, where she got the idea to make lanterns from recycled glass bottles. I’m a picky Jew who just wants an H&H bagel. “I love their apothecary-style bottle, and I was already a member at The Crucible, an industrial arts studio in Oakland, so I took the glass class and starting cutting bottles, to make lamps that hung over the bar.” Her creations can be seen in restaurants and homes throughout the Bay Area, and got her on the cover of Alameda magazine. Which brings us to 2012, when she heard that H&H had closed. “It was like someone died and no one bothered to tell me,” she said. Although she wasn’t much of a cook and had never tried her hand at baking, she started Googling and watching videos on YouTube. After a lot of what she called “dart-throwing,” the bagels started going from OK to good to better to pretty damn good. Once her friends started raving, she began to think she was onto something. Both Jews and lesbians like the name because of its insider-ness (“boi” is a commonly used word in the LGBT community). Non-Jews may not get it fully, but still think it’s cute. Winston says the best way to find out where to get her bagels is by signing up on her website mailing list. She is looking for bakery space and has potential investors (though she is looking for more). 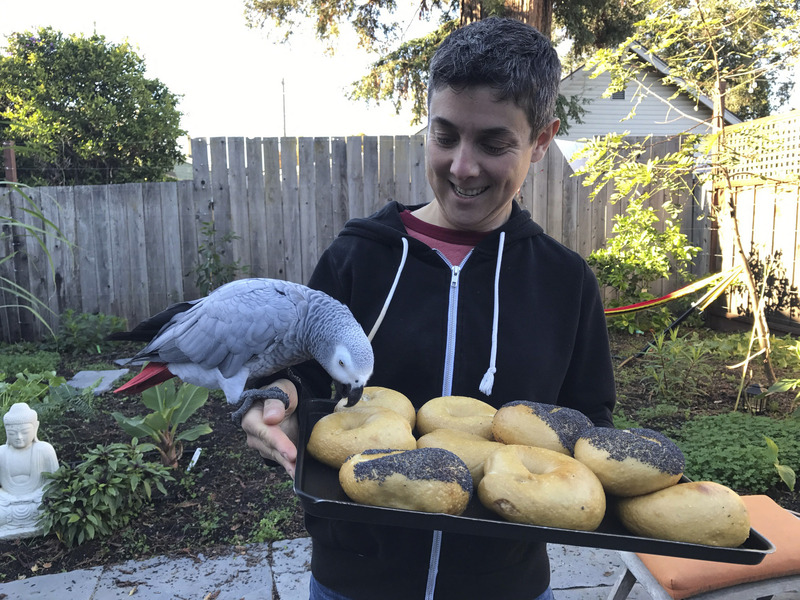 Word about her bagels has spread, and this writer, who ate her share of H&H bagels back in the day, agrees that they’re unlike any other Bay Area bagel. Boichik Bagels will be available for tasting during the Hanukkah “Fryday” at the JCCSF starting at 4 p.m. Friday, Dec. 15 at a pop-up with Zahav chef Michael Solomonov, Steven Cook and Tom Henneman, partners in Federal Donuts in Philadelphia. There will be a candlelighting, holiday cocktails by the Alembic restaurant, an olive-oil tasting with expert Sandy Sonnenfelt, a Guittard chocolate tasting and latkes. Solomonov is part of a multiday residency with the JCCSF; he’s also doing a (sold-out) dinner at the Alembic with local chef Rachel Aronow on Dec. 14 and a collaboration with local chefs Nick Balla and Cortney Burns of Duna on Dec. 16. For information about all of these events, visit jccsf.org/hanukkah.